Colleges and universities are increasingly offering encore programs to help older adults acquire new knowledge and skills that employers need, gain credentials, and prepare for transitions to roles with social impact. Increasing numbers of individuals have already returned to college to prepare for encore careers. And, innovative higher education encore programs have been developed in a variety of academic divisions – continuing education, workforce development, executive and professional education, undergraduate and graduate education – and across departments – research, human resources, curriculum, advancement, career and alumni services, and student services. Learn more about these programs below. Encore!Connecticut is a four-month workforce development program tailored for seasoned corporate professionals seeking to transition their skill-sets and experience into successful professional and managerial employment in the Connecticut nonprofit sector. University of Washington EncoreU initiatives introduce UW employees and retirees to encore opportunities. The Stanford Distinguished Careers Institute offers a year-long opportunity for about 25 Fellows individuals from all walks of life who seek to transform themselves for roles with social impact at the local, national, and global levels. Each year, through the Advanced Leadership Initiative, a select group of Fellows from diverse sectors with a track record of achievement and accomplishment comes to Harvard to transition from their primary income-earning careers and prepare for their next phase plan as change agents for society. The Ignite Institute provides education and training for spiritually-rooted changemakers, excavating and communicating the transformational narratives within progressive spiritual traditions, and anchoring a network of faith communities, social justice organizations, and activists working towards economic justice. The Encore Transition Program at Union Theological Seminary engages a diverse group of 12-15 like-minded 55+ adults in a four-month program of discernment, dialogue, and decision-making about what an “encore” stage of productive and experienced adulthood might look like. Life by Design NW supports people as they age in discovering their passion and purpose so they engage their wisdom and skills to strengthen the community and achieve personal fulfillment. lifebydesignnw.org is a portal to what’s happening in the Portland metro area for people age 50+ in life planning, working, volunteering, creating community connections, learning, and living an active life. Through our unique partnerships we are able to connect people with the resources they need to create their life by design. Rio Salado College offers online teacher certification to eligible adults (age 50 and older) who are interested in re-careering and pursuing teaching positions in early childhood, elementary, secondary, special education and arts education. 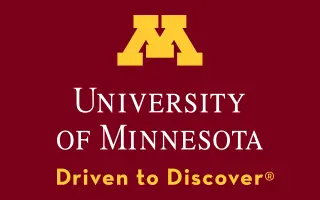 University of Minnesota Advanced Careers (UMAC) is for Boomers transitioning from career jobs into meaningful engagement. It connects intergenerational learning, social impact, and personal development. Hamline’s Encore Fellowship program provides an opportunity to learn about full-time, part-time and volunteer encore careers and to serve for two months as an Encore Fellow in a nonprofit organization. Encore Impact is a program of the Kaleo Center. It engages a diverse group of 55+ adults in a four-month program of discernment, dialogue, and experience that emphasizes productive, social-purpose focused adulthood. The goal is to develop individual plans of encore lives in social justice and social purpose. The TOWER Fellows Program will launch in late August 2018 and consist of approximately 25 individuals who participate in an intergenerational learning and life-changing experience. Applications are now being accepted for the 2018-2019 academic year. The Inspired Leadership Initiative (ILI) is a new program for accomplished individuals who are at the end of their traditional careers and want to pivot to a next stage of life. Participants will spend an academic year experiencing intellectual immersion, local and global community engagement, and other resources.